Instinctive Notes is the Nookal App you wish you had when taking your notes. Add our compliant note taking to Nookal, one of the best practice management systems out there, and watch your productivity take off. Using the Nookal API, which allows secure access to Nookal, Instinctive Notes utilises your Nookal data and enhances the Nookal experience. You want the information you already have in Nookal to be available without having to think about it. Instinctive Notes collects Nookal data every five minutes during the working day so that your client and appointment lists in the Instinctive Notes App are up to date. 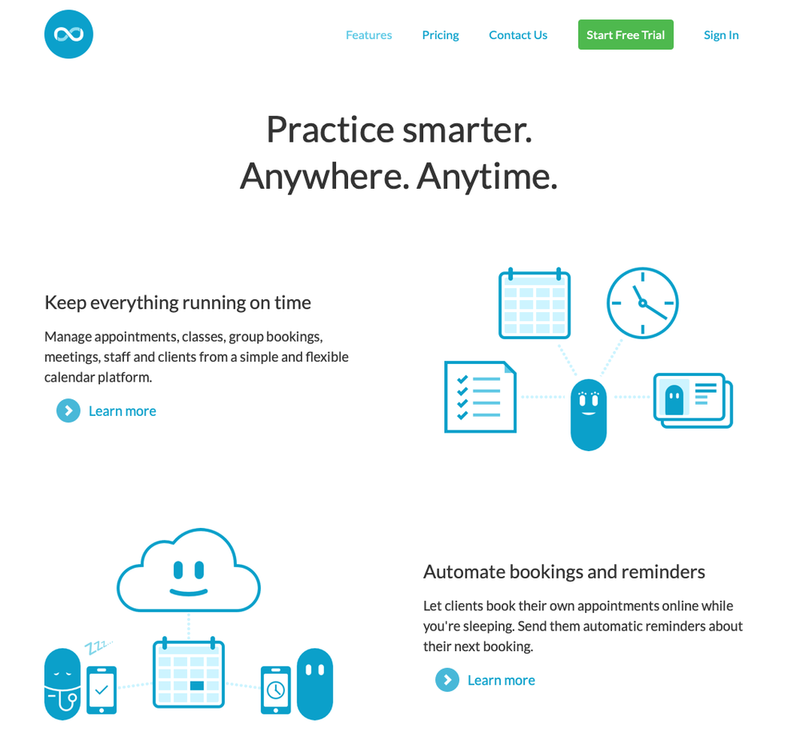 We download Practitioners, Patients, Locations, Products and Appointment Types every night from Nookal and we download all future Appointments every five minutes. Everything just works so you can focus on running your practice with Nookal and taking your clinical notes with Instinctive Notes. That's all you have to do to get all your Nookal data into the Instinctive Notes App. Your appointments are listed direct from Nookal. Any updates, cancellations or no shows will be automatically processed from the list. 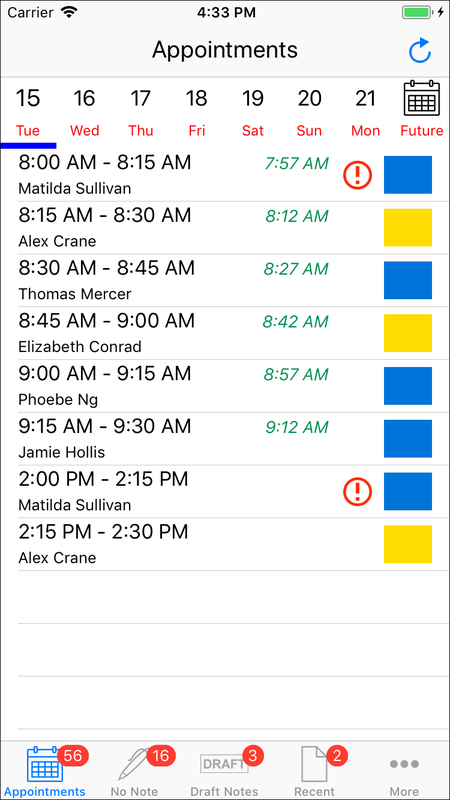 Appointment type colours can be set against your Nookal appointment types to let you know exactly why you are seeing each of your clients. All you need is your Nookal API key and you're up and running. You've been there before. Promises of tight integration between products just don't stack up. Configure this, load that. Spend time keeping it all running. Your time is just too valuable to waste. You want to get up and running as quickly and easily as possible. So that's why we leverage all the information you already have in Nookal to streamline the setup process. All you need to do is enter your Nookal API Key, along with a few key details, and select the practitioners you would like to add to Instinctive Notes. By the time you have logged into the Instinctive Notes App on your iPhone or iPad your appointments will already be available. Get a unified note history in Instinctive Notes from day one. If you've been using Nookal for a while you may have been recording notes using the configured Nookal templates. You can jump start your note history in Instinctive Notes with a one off upload of your note history from Nookal. Simply export all your treatment notes from Nookal and send them to us to be loaded into Instinctive Notes and you'll have your full client note history available right in the Instinctive Notes App. Please note there is an additional fee for uploading notes. "Nookal was established as a comprehensive practice management system for allied health practices and clinics and now serves a wide range of practices, ranging from large to small, and multi-location.."
If you don't use Nookal to manage your practice and want to know more, just hop on over to the Nookal Web Site, you won't be disappointed. As you would expect, we think Nookal works even better when linked with Instinctive Notes. Why don't you try us both today.